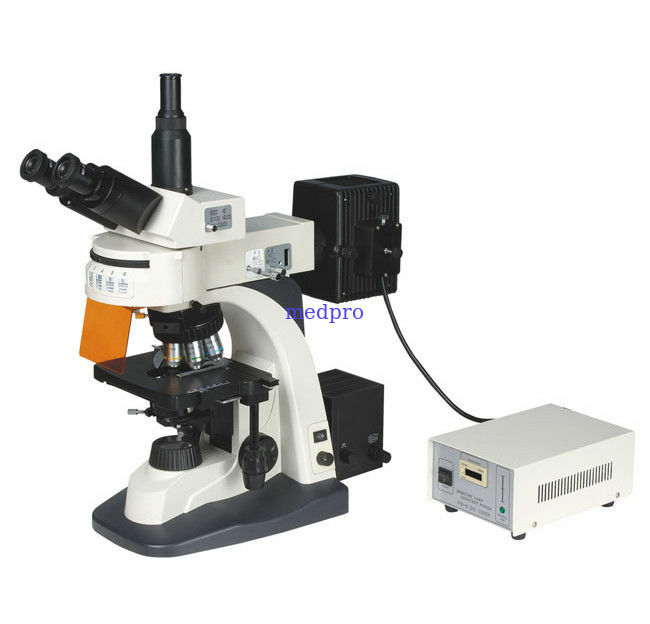 The Fluorescent Microscope is Made Up of The Biological Microscope and Epi-Fluorescence Device. It is Widely Used In the Field of Biology, Medicine, Immunology, Oncology, Genetics, Material Scientific and Other Fields. 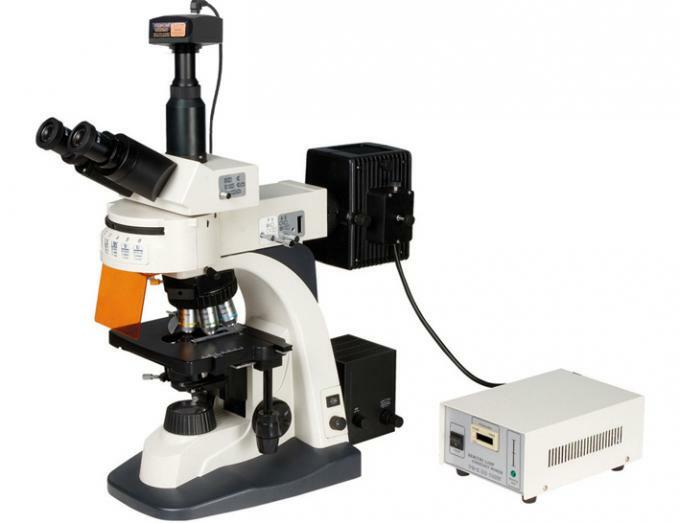 The Standard Outfit of this Fluorescent Microscope Has 5 Wave exciting Filters:B.G.U.V, and BV. And Mean While, the Conventional Transmission Observation Can Be Proceeded too. High Quality Infinite Optical System and Sharp Fluorescent Attachment Make You Observed the Satisfactory Fluorescent Effect. It is your Best Choice Because of Humanized Configuration Design, Convient Operation System and Novel Appearance. High Precision Revolver System: The Exciting Filters Are Fixed in The Turret, and It Is Convenient to Do Different Observation. Infinite Optical Plan Fluorescent Objective Providing Excellent Optical Quality and making Image Pefect.. Operator Feel More Comfortable and Effective. External Illumination, AC220V/110V, 12V/30W Halogen Lamp, Brightness Adjustable. Blue, Green, Ultraviolet, Violet Excitation.